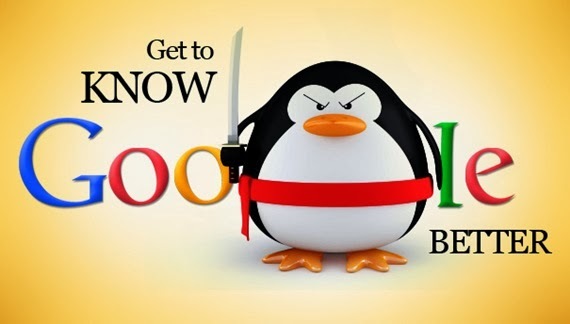 Penguin 2.1 is the newest edition to Google’s search ranking algorithm. Just last month the Penguin 2.1 algorithm went live. Based off our data, forums and search engine news sites from all across the web, the update seems to have caused quite a few shock waves across the industry. A concern with Penguin 2.0 was that it worked particularly well with targeting home pages that contained ill link building practices, however, it had lacked the ability to target internal pages (deeper pages). This is where Penguin 2.1 had dedicated most of its attention and has done so, so very well. Pages with spammy content, low quality content and signs of unnatural link building were hit whilst legitimate content were rewarded with a healthy ranking boost. So who has been impacted? Many of the places being impacted by Penguin 2.1 are places that are heavily reliant on larger link building schemes and not enough on content. After Penguin 2.1, small businesses should really start to utilise the power of content marketing and dedicate more time to writing content for which their audience will perceive as valuable enough to share and distribute. This concept isn’t anything new and I can safely say that after any Google update this concept will be continuously preached. The update may have looked at link exchanges which were very aggressive and backlinks which were inserted across site-wide platforms. People abusing forums or blog comments may have also be targeted if their link profiles did not contain enough diversity. Having a wide range of different incoming links is the key to any link building campaign. This is a common practice and seems to have been a high priority when it came to Penguin 2.1. Many websites who have seen a high rate of exact match anchors may have been hit from over-optimisation. Exact match anchor texts that saw over 15% of their overall link profile may have potentially seen ranking decreases. The common saying is content is king and with the recent changes to Penguin it is clear that Google is reinforcing their stance on the creation of quality content. Content is especially rewarded in the form of quality links that come from related and authority sources. Not only are you increasing the scale of your website and providing additional content for your audience, but you are also creating a great foundation for your website to be found on. By having each of your webpages highly concentrated onto a specific area or topic, you increase the chances of ranking for related keywords. This is what Penguin was created to indirectly enforce, and with the additional of Penguin 2.1 this seems to be certainly the case. While Penguin 2.1 might seem to be the end of the world for some, this does not have to be the case. Quality control your link building campaigns and have a consistent flow of quality content production. These two concepts will ultimately act as your greatest weapons against any form of future Google update.